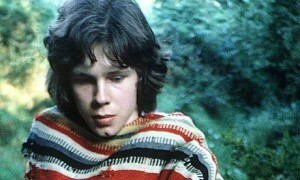 It’s surely more understatement than hyperbole to suggest that Nick Drake was a man before his time. The Cambridge dropout who found Dylan and dope more engaging than his studies certainly impressed the members of Fairport Convention, who would go on to support his 1969 debut Five Leaves Left in the studio, but he only confused British audiences, who found the chronically depressed insomniac anxious and disengaged, and his ecologically-grounded poetics and organic chorus-less songs completely anathema to the world of sea shanties and traditional brit-folk with which they were familiar. By the time of his death at age 26 – the coroner claimed suicide, brought on by an overdose of antidepressants – Drake had long since stopped performing, or even showing up in the studio; famously, his final album was delivered to his record company already finished, with so little fanfare that it wasn’t even noticed sitting on the reception desk until the following week. He had also withdrawn to his parents house, both for the moral support and, arguably, because his unwillingness to engage in live shows or promotion had led to such dismal sales, he could not support himself independently. 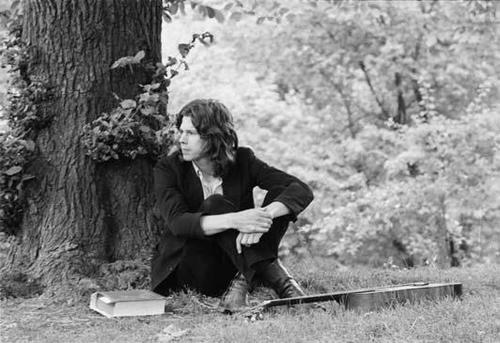 But though he died young and relatively obscure, with only three studio recordings and a trio of singles to his name, most modern audiophiles place Nick Drake in the canon, naming him among the most influential English singer-songwriters of the past 50 years. This recognition is driven, in part, by his influence on other artists who discovered him after his death, quite probably prompted by an undercurrent of audiophile demand, which in turn brought forth comprehensive box set Fruit Tree in 1979 – a record which neither sold well nor received much critical mention, but which seems to have furthered the underground spread of his sound and sensibility. Since then, Drake’s posthumous renaissance has been driven by the usual suspects. Numerous musicians in the 80′s and afterwards, from REM’s Peter Buck and The Cure’s Robert Smith to Kate Bush, The Dream Academy, and The Black Crowes, named him as an influence, causing the British press to identify him as progenitor of a particular type of “doomed romantic” public stance common to musicians at the darker ends of the musical spectrum in the late stages of the 20th century. Since then, others, including Lucinda Williams and Lou Barlow, have also cited him as creative ancestors. And after a 2000 appearance of Pink Moon in a Volkswagon ad led to a wave of sales that far surpassed his total up until that date, his star continued to rise in the public eye, predominantly via film and other mass media, which have in the past decade found his atmospheric style, his delicate phrasing, and his pastoral lyrics resonant with the post-millennial indie soundtrack crowd, placing his work on a par with the resurrected sounds of proto-indie artists like Nico, Elliott Smith, and Vashti Bunyan. 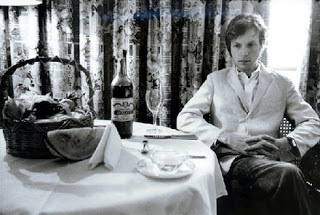 Today, Nick Drake’s music and name are common on the tongue and in the ears of the average music listener, though many are likely more familiar with a small handful of his songs than the full canon. And his influence is easily apparent in the style and substance of a broad spectrum of modern singer-songwriters, many of whom we have covered here in the past. 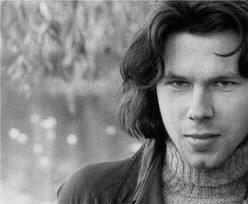 But so much of the power in Nick Drake’s work lies in his delivery, it’s no wonder that so few have covered him effectively. And it surely doesn’t help that the daunting task of recreating that rich, layered tone, and the gentle, genuine awe apparent in that hold-your-breath voice, pales next to the very real risk of stepping into the damaged mind which produced it. It takes a confident artist to be willing to take on all that, and a true craftsman to try it without faltering, managing to still come out the other side with something which works as both homage and something fully owned and fully transformed by the covering artist. Many have tried, and failed – there’s as much as a dozen tribute compilations out there, if you know where to look, and though most are fueled by genuine appreciation, much of the work fails to go beyond simple resurrection. Happily, there’s a few geniuses who have managed to pull it off. And though some add strings or other instrumentation to strong effect, as many or more favor Drake’s preferred delivery, aiming for the stripped down sound of the folk artist, the quiet, broken singer-songwriter who eschews the studio’s perfection for the raw, the private, and the intimate sound of the basement and the empty stage, making them perfect for our ongoing journey through the world of the folkways. Here, then, a compilation of those best and brightest covers, most of which go well beyond the mere reproduction of tonality which so stymies the influenced. Taken together, they make for a multifaceted tribute: to the man, to the adoration and respect which he himself never received, and to risktakers all, who pay tribute to those who burn so bright and so quick, yet cannot stand their own flame. Cover Lay Down posts new coverfolk features every Wednesday, Sunday, and the occasional otherday.